Netflix drama "Black Mirror" once imagined a world in which tech could be used to recreate the dead. Now, people are working to make that a reality. Tech firm Eternime is beta testing an app that will allow users to create a digital "avatar" of themselves after they die. Eternime is not the only firm experimenting with AI technology to give people a voice after death. Business Insider spoke to four people working in and researching the death tech space. They laid out the benefits and dangers of creating digital alter-egos that live on after you die. If thousands of years of human storytelling is anything to go by, waking the dead is rarely a good idea. From ancient Greece to "Black Mirror," fiction tells us that there are drawbacks in summoning loved ones from the grave. But one tech entrepreneur is working to turn these tales on their head. Marius Ursache wants to make digital copies of the dead. The 41-year-old grew up in Romania where he studied to be a doctor. He set up his own web design company while at medical school and dipped his toe in fintech, but quit because he hated working with banks. He started taking courses at the Massachusetts Institute of Technology, which is where he got the inspiration for a grander venture: Eternime. The company was founded in 2014, and hopes to make people "virtually immortal" by creating a digital avatar of people after they die. Soon after founding Eternime, personal tragedy gave the project new meaning when Ursache lost his best friend in a car accident. He repetitively watched footage of his friend's TEDx talk after his death. "It made me remember how important that person was to my life and how lucky I was for having him in my life and learning so many things from him," he said. He hopes Eternime could have a similar effect. At the moment, Eternime takes the form of an app which collects data about you. It does this in two ways: Automatically harvesting heaps of smartphone data, and by asking you questions through a chatbot. The goal is to collect enough data about you so that when the technology catches up, it will be able to create a chatbot "avatar" of you after you die, which your loved ones can then interact with. "We collect geolocation, motion, activity, health app data, sleep data, photos, messages that users put in the app. 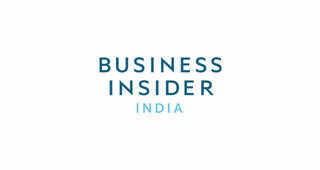 We also collect Facebook data from external sources," Ursache told Business Insider. This is all done, of course, with your explicit permission. A prototype demo of Eternime was recently on display in London's Victoria and Albert Museum, showing its user interface and how it amasses data from its users' digital lives. Ursache has been funding the project with his cofounder and CTO Claudiu Baciu, who he met working at his first company. In the future, Ursache hopes to release Eternime as a free service with premium account options, but said he would never run ads. "Even basic things like profiling would be a breach of privacy and confidence, so we're going to try to support basically the free plans through subscription fees from other users," he said. The beta test has more than 40,000 signups, according to Eternime's website, but is so far only in the hands of around 40 people. The test involves users chronicling their day-to-day lives.  Business Insider spoke to one of Eternime's beta testers, Claudiu Jojatu, who has been using the app for about a year. "For me it's very important, and I am using it every day as a personal journal. I input a lot of data on how was my day and how I felt that day. And then it's very cool that it synchronises with my Facebook account and with my pictures from the phone," Jojatu said. Eternime feels like having a "digital alter-ego," he added, and although the afterlife functionality of Eternime is a while off, Jojatu is relishing the prospect. "Probably 99% of our memories get lost, and it's kind of awesome to know that you can actually leave something behind," he said. That same thought struck Eugenia Kuyda when her close friend Roman Mazurenko died in a car accident in 2015. He was just 34. Kuyda missed Roman so much, she created a chatbot of him. "Roman was a close friend and a special one," Kuyda told Business Insider over email. "I wanted to tell a story about him and tell him some things I hadn't been able to. I put together around 10,000 of his text messages and together with a brilliant AI engineer on our team, Artem, we made a bot that could replicate the way Roman used to speak." From Roman, Replika was born. Replika is an app in which you confide in an AI-powered chatbot that learns about you as you chat to it. The app has more than 200,000 monthly active users, and has raised $11 million from investors including Y Combinator and All Turtles, the incubator run by former Evernote CEO Phil Libin. Ursache recognizes the crossover with Eternime. "I think in terms of approach and mindset and surprisingly even personal stories, Replika is our closest competitor that we have," he said. Creating Roman was a personal project and a memorial for a friend, but Kuyda points out that building chatbots like Roman's on a commercial scale poses a myriad technical and ethical challenges. For example: At what age do you wish to be immortalised? "This is especially true for older people or people that have Alzheimer's and other diseases that change the way they act and talk a lot. Do you want to talk to your grandpa in his 20s? Or the grandpa you remember when you were a kid?" she said. She also pointed out that a chatbot might accidentally divulge information the deceased would not otherwise disclose to their loved ones. "Think for example if you're building a bot for your best friend and she was gay and her brother doesn't know - will you program it to understand who the bot is talking to it? It's not an easy problem ethically and technically." Ursache recognised that this is a challenge Eternime will have to overcome, especially if family members feel uncomfortable with the idea a chatbot that could potentially say anything. There are many other moral quandaries to consider. Researcher Carl öhman, of the Oxford Internet Institute, explored the potential problems with "re-creation services" in a paper published in Nature, which named Eternime and Replika. "The main problem as I see it is the updating of software," he told Business Insider. If you sign up to have your chatbot stored forever by a company, you won't be able to sign off on any software updates that might change the way that bot functions after you die. He also warned that algorithms have been known to act unpredictably. "Just look at what happened to Microsoft's Twitter chatbot Tay - it turned into a racist, Holocaust-denying, bigot within a matter of hours. How can we guarantee this doesn't happen with chatbots claiming to portray a real person?" "The crucial thing is that consumers understand how the data is to be used after their death, this is difficult to guarantee when you use complex algorithms fed with many different data sources," öhman added. Ursache admits that the bots responding to stimuli poses an ethical conundrum. "There's tonnes of things to think of ethically and technically and behaviorally," he said. Another big question Eternime throws up is whether it's healthy for living people to interact with a digital alter-ego of their deceased loved ones. Another tech entrepreneur looking to break into death care is concerned by this. Mark Alhermizi is the CEO of Everdays, a company which creates pop-up social networks when a person dies. These networks are used to notify people of that person's death, and thus far have been set up via funeral homes, although Everdays has recently launched a consumer app. Alhermizi is optimistic about the potential tech has to improve the death care sector, but the thought of a legacy chatbot like Eternime's troubles him. "The problem ethically allowing this to exist... is that you get stuck living a false reality," he told Business Insider. Alhermizi referred to the "Black Mirror" episode "Be Right Back," in which a bereaved woman resurrects her partner using his data but it quickly turns sour. He is not worried about the immediate future, because the tech isn't yet good enough to make an AI chatbot that convincingly imitates a person. "But one day they will be good, and I think about what the consequences are for people using them. Forget about ethics, it's about them living in a false reality. Not just not moving on with grief, but not moving on with their lives," he added. Ursache said he collaborated with psychologists when designing Eternime, but admits there could be unforeseen consequences, like people isolating themselves because they become too involved with a chatbot. For the moment at least, he said Eternime is beneficial because people can use it to reflect. "We had people from the beta programmes who said it's like having an imaginary friend and it's providing some comfort," he said. Ultimately, Ursache and Alhermizi think tech needs to move into death care in earnest. "This is one area of human life that I don't think has been improved or touched by technology," said Ursache. But researcher Carl öhman thinks regulation needs to be set up before "digital afterlife services" become commonplace. "As a society, we should think twice before we leave the nature of our afterlives entirely to an unregulated market," he said. We may be getting closer to making thousands of years of human storytelling about speaking to the the dead a reality, but it will not be without its dangers.